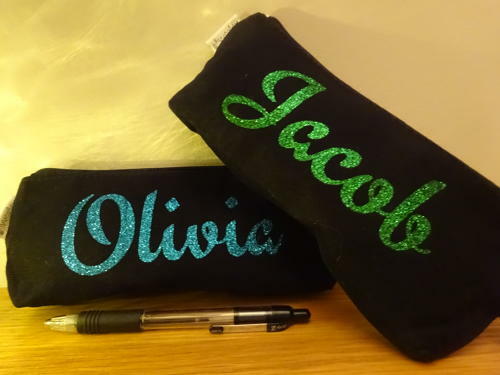 Let us personalise a pencil case for the perfect gift! The case is black and the names can be done in gold, silver, blue, green, red and purple. Please allow at least a week when ordering this item.